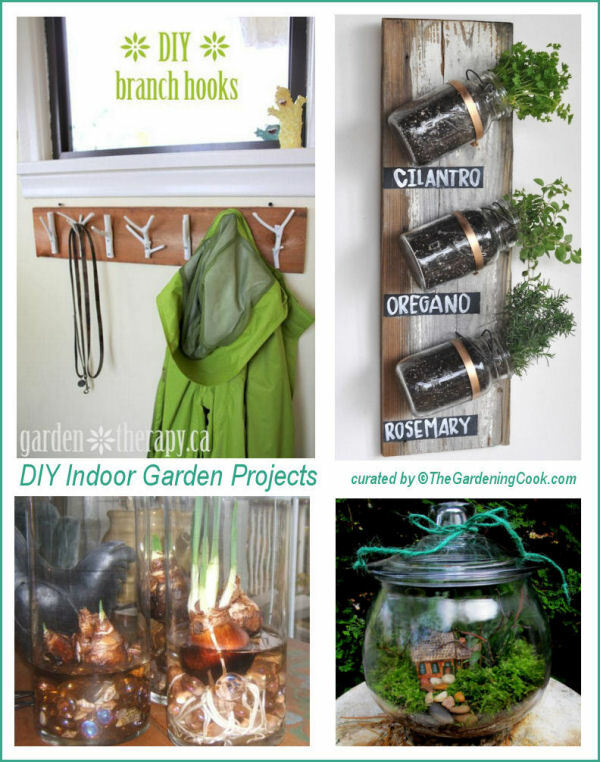 Spruce up your indoor space with one of these Easy DIY Garden Projects. These DIY gardening projects make the perfect home decor projects for indoor plants. They are simple to do and add so much appeal to a bare indoor space just crying out for some TLC. The beauty of these projects is that they are fast to do and don’t require a degree in gardening 101. Most can be done with a bit of soil, a few accents and a bit of time. 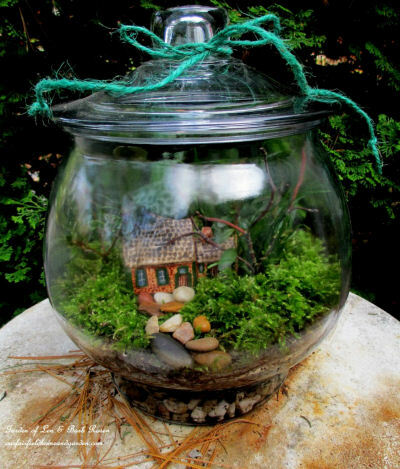 This indoor cottage terrarium uses a covered glass jar, some rocks and moss, a cottage figure and a few easy to care for plants. See the tutorial at My Fairfield Home and Garden. Do you love paper whites, but your zone won’t let them over winter? Force them indoors, like Lynne at Sensible Gardening and Living did. She used clear glass cylinders and a few decorative rocks. You can watch them grow this way and it gives a rustic decorative accent too. 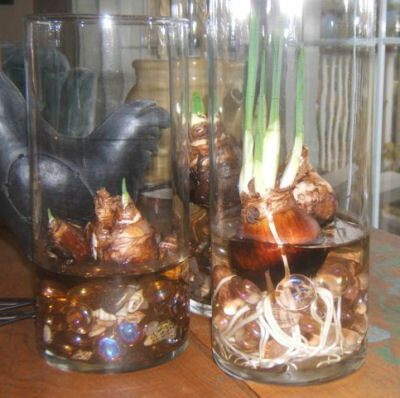 Paper whites are not the only bulbs that can be forced indoors. Many varieties will work. I’ve tried both tulips and amaryllis bulbs. 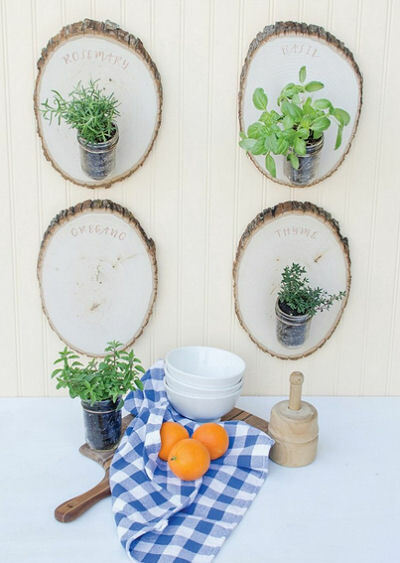 This neat idea uses wooden plaques and mason jars with fresh herbs. 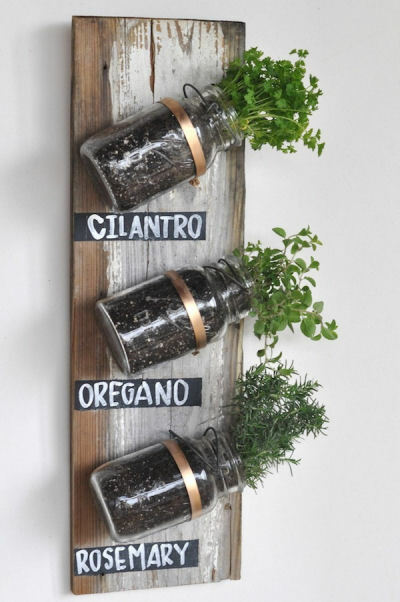 This is a great idea if your collection of herbs it taking up valuable counter or window space. The end result is both practical and pretty too! See the tutorial at Garden Therapy. This is another neat idea for an indoor herb garden that makes use of wall space instead of counters or windows. Once again wood and mason jars are used with herbs. This design is a bit more rustic. You can find this tutorial at Camille Styles. Do you have a piece of wood, some latex paint and some garden branches? 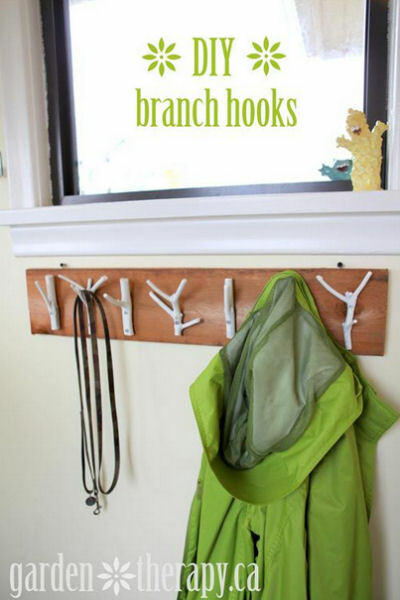 Make yourself a coat hook display. You can find this tutorial on Garden Therapy too.